I found a new colony of snail orchids in the burnt forest and they were already in flower. There is a large colony in the unburnt forest to the west of the property, but they are not near flowering yet. Last year and the year before, they flowered in late August. 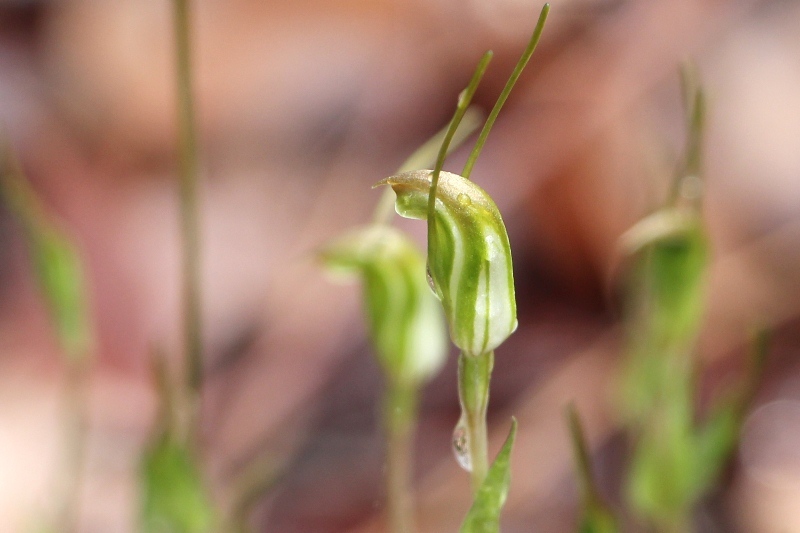 These look like the tall snail orchid or Pterostylis Pyramidalis.